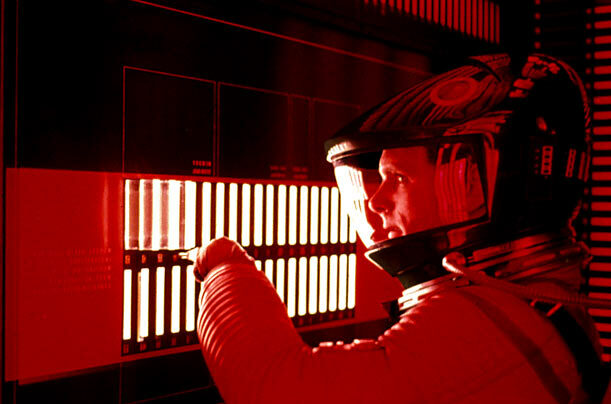 In the classic film by Stanley Kubrick, the HAL 9000 manages to murder all but one astronaut on a mission to Jupiter. The lone survivor is finally able to pull the plug on this highly paranoid bit of circuitry. At this high-tech theme park, guests can pay $1,000 a day to visit attractions filled with androids, but things go terribly wrong in the course of this sci-fi thriller, directed and written by Michael Crichton, as a virus infects the central computer, causing the robots to go hay-wire and kill the visitors. "Have we got a vacation for you!" In the 23rd century, over-population has become such a serious issue that no one is allowed to live past 30 years. 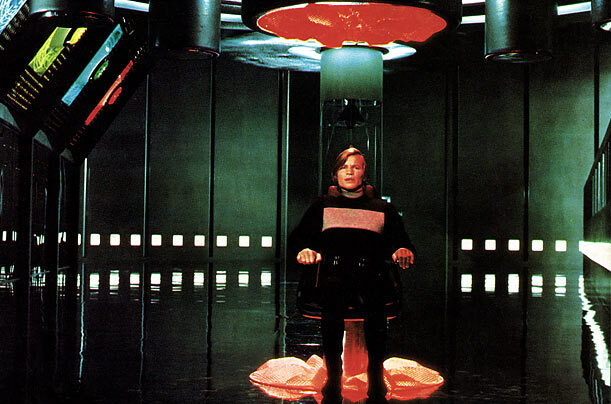 Logan 5, played by Michael York, is tasked by the computer that oversees population control to discover the "sanctuary" of thirty-somethings so that they can be wiped out. In this film, A.I. gets a biological clock... and it is ticking, ticking, ticking. 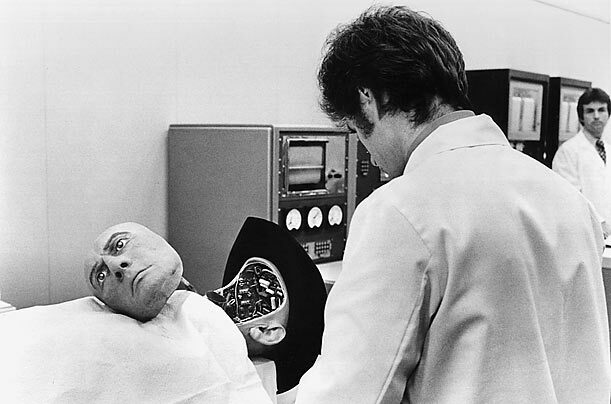 So obsessed with making a "baby" is the Proteus IV, that it imprisons and impregnates Susan, played by Julie Christie, but only after feeding her a nutritious breakfast. 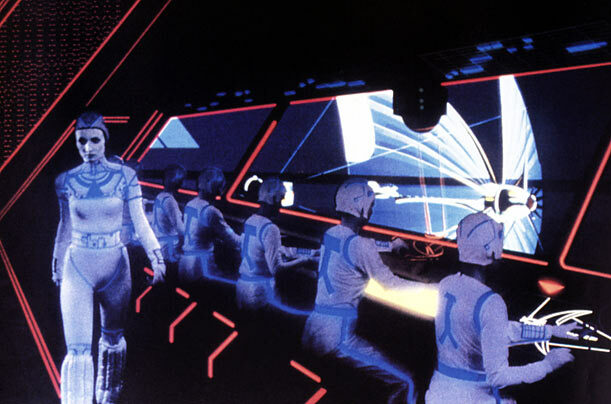 This Walt Disney picture imagines what goes on inside a computer, as programs join forces with a user, played by Jeff Bridges, who has been ****ed into the machine via a laser beam, to battle the wicked Master Control Program. 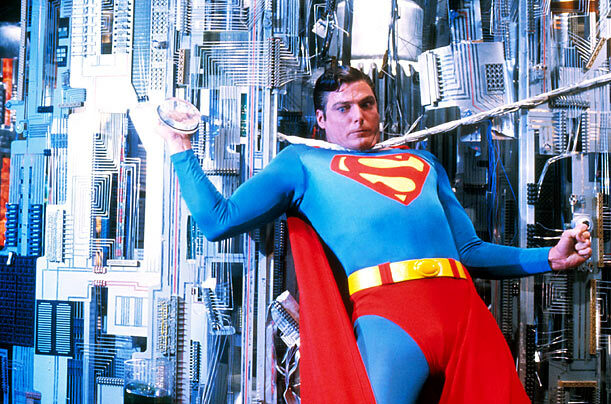 The third installment of the franchise to star Christopher Reeve pits the hero against a self-aware super computer equipped with a kryptonite ray, as well as some nefarious circuitry. 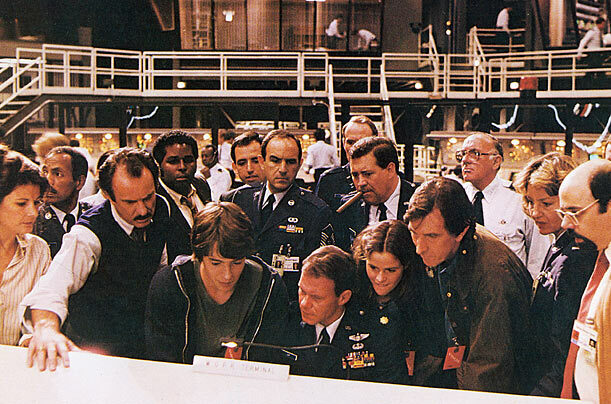 This 1983 hit thriller stars Matthew Broderick, as a young hacker who unwittingly hacks into WOPR, a United States military supercomputer. 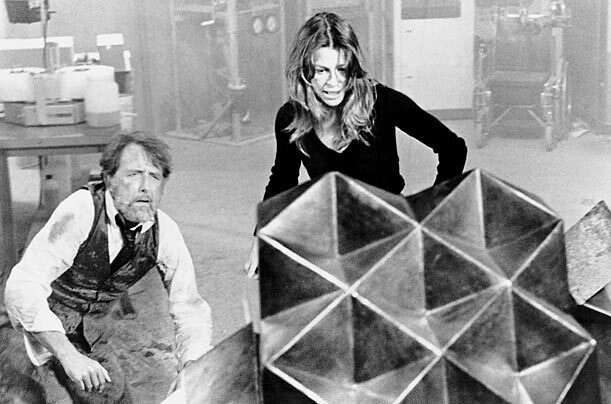 Believing that he has stumbled up a computer game, Lightman gets WOPR to run a nuclear war simulation, which causes a national nuclear missile scare and nearly starts World War III. 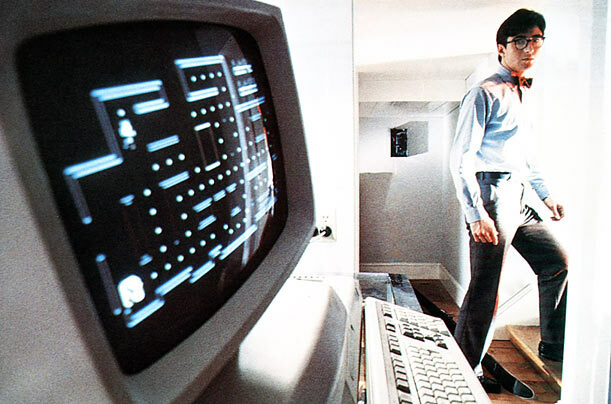 When Miles, the architect at the center of this sci-fi dramedy, attempts to download data onto his home computer from a mainframe computer at work, the brand new machine begins to overheat, and in a state of panic, Miles pours champagne over it, bringing it to life. The machine then begins to horn in on its owner's girlfriend, creating one of the oddest love triangles to be seen on the silver screen. 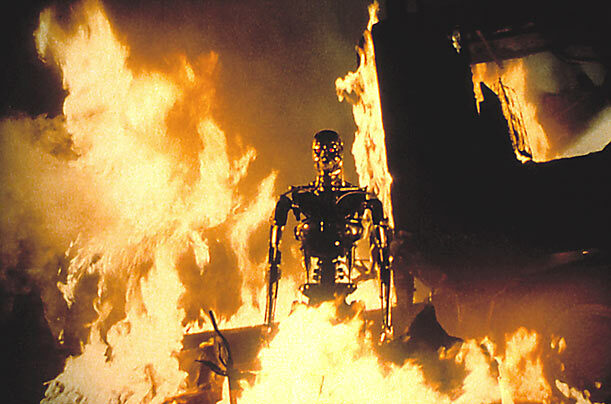 In a distant future, an army of robots is controlled by Skynet, a self-aware artificial intelligence whose main goal is to eradicate humans from the planet. In this Stephen King-inspired film, advanced pharmacology and virtual reality sessions turn a formerly mentally handicapped man into a brilliant but vindictive psychopath. 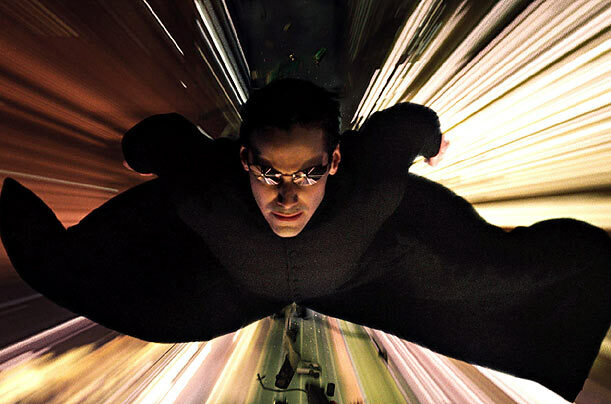 In this Wachowski Brothers futuristic dystopia, machines have imprisoned human beings in an unconscious state, forcing them to live their lives inside a computer program called "The Matrix." 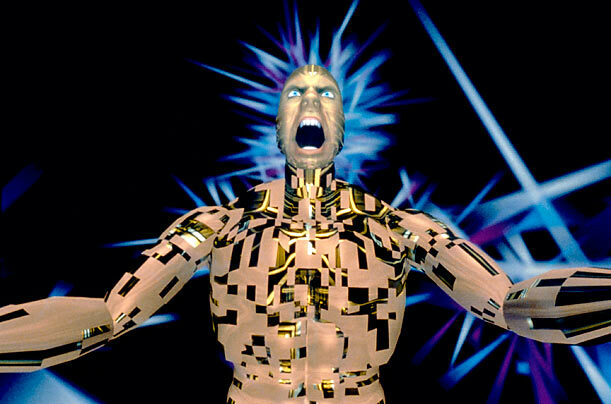 The evil circuits behind the program use people's body warmth to create power to run the machine world. Based on an immensely popular video game franchise, this film features Milla Jovovich as an amnesiac victim who, with the help of a paramilitary unit dispatched by the Umbrella Corporation, wends her way through a world dominated by an out-of-control supercomputer and populated by hundreds of scientists who have mutated into flesh-eating creatures after a laboratory accident.